Clay Tiles have been around for centuries; they are the natural product and enjoy increasing popularity. We hold a large range of tiles from a number of manufacturers. This range of products includes tiles with very different characteristics within a number of price bands affording a much greater choice. It is also possible to match replacement tiles from our reclaimed stock. Marley Eternit Acme Double Camber Clay Plain Roof Tiles. 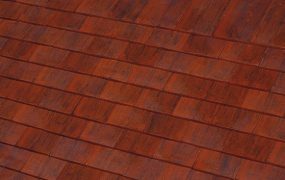 TERREAL Rustique Plain Clay Tiles. TERREAL Eminence Plain Clay Tile. Marley Eternit-ACCESSORIES-Clay 305mm half round ridge. TERREAL Rully Interlocking Clay Tiles. 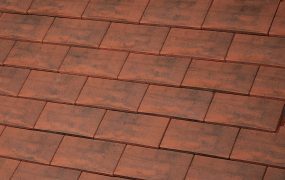 TERREAL Côte de Beaune Clay Interlocking Tiles.